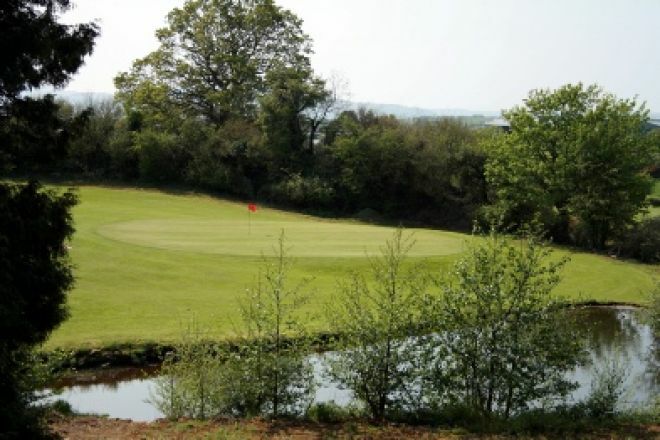 Up until recently Mayobridge was a 12 Hole Course, but the addition of two par 3's and four par 4's has brought the Course to a par 67 4,354 metre 18 Hole witha Standard Scratch of 63. 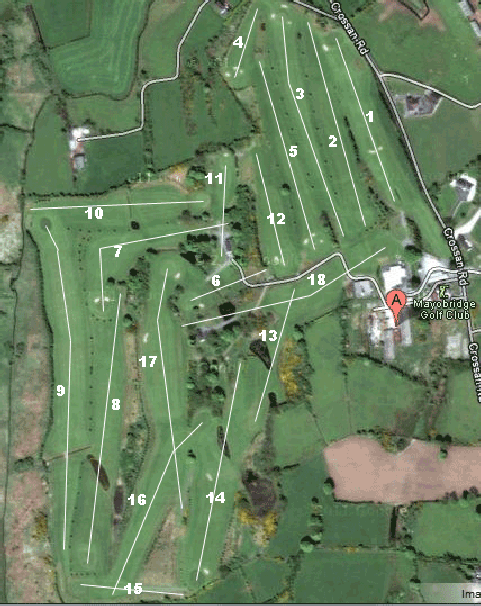 The Course is set amongst lakes mature woodland and old buildings, with spectacular views of the Mourne Mountains. The course is a full 18-hole Par 67 layout that may not be the longest, but it more than makes up for that in its character & scenery which is in abundance around the course. It is often said that Mayobridge Golf Club is unique in that it is played amongst old farm cottages from centuries past. The surroundings are quiet and picturesque. The course itself can be challenging to any standard of golfer with many water hazards and some tricky greens. Featuring only 1 par 5 but many , par 3 and par 4 holes it is a course that can be completed quite quickly in comparison to some, a good 2 ball should take no longer than 3 hours and a 4 ball just over 4 Hours. Many of our members find the course an ideal length. With a lot of new machinery purchased over 2009 the course promises to be in top shape for the 2010 season and is constantly being improved upon. With the fantastic new clubhouse and restaurant the club is now showing people just how enjoyable golf is at Mayobridge. Full Ladies Membership Fee: £50?